In the adjoining category you will find the products. Choose the products you want to put in your “shopping cart”. If the shopping cart is filled with the products of your wish, please choose “pay”. 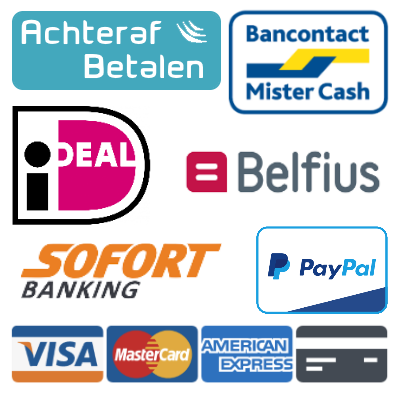 You can pay right away or register for an account, so you do not have to fill out your personal data again if you make another purchase at HappyFarmer.nl. Give up your name and address. Choose a pay method and click, after you agreed our terms and conditions, on “further”. Check your order and click “confirm order” (Pay with your chosen payment option) and your order is placed!